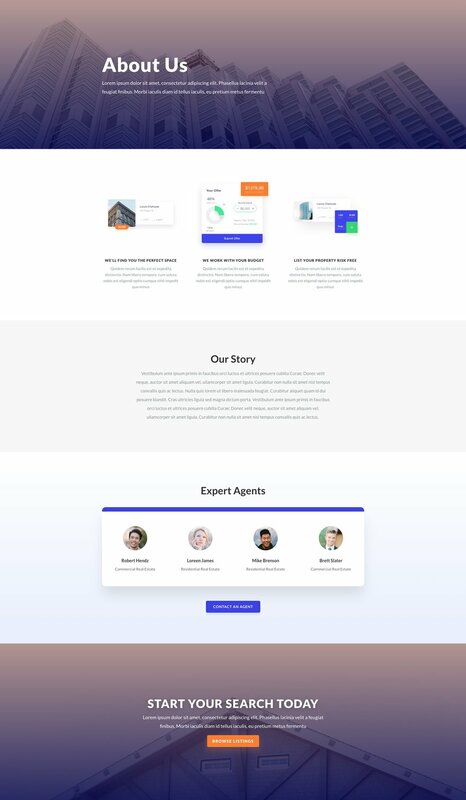 This week Kenny and his team have created an inviting Real Estate Layout Pack. 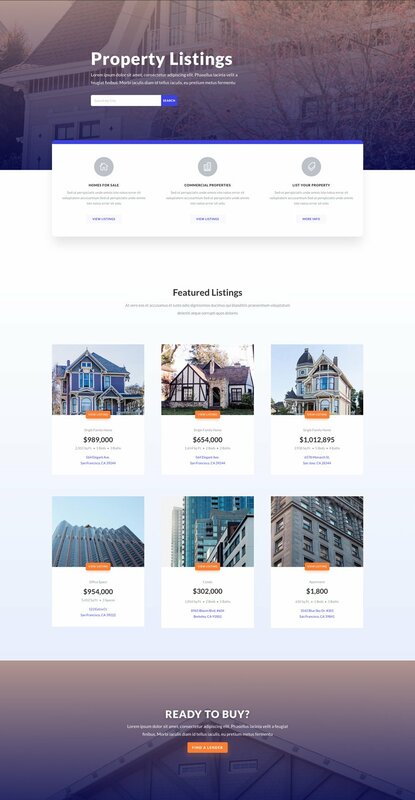 The Real Estate Layout pack has 7 pages included, each with a fresh and modern design. It even has a Listings page perfect for showcasing property listings. Perfect for any real estate company or agent! 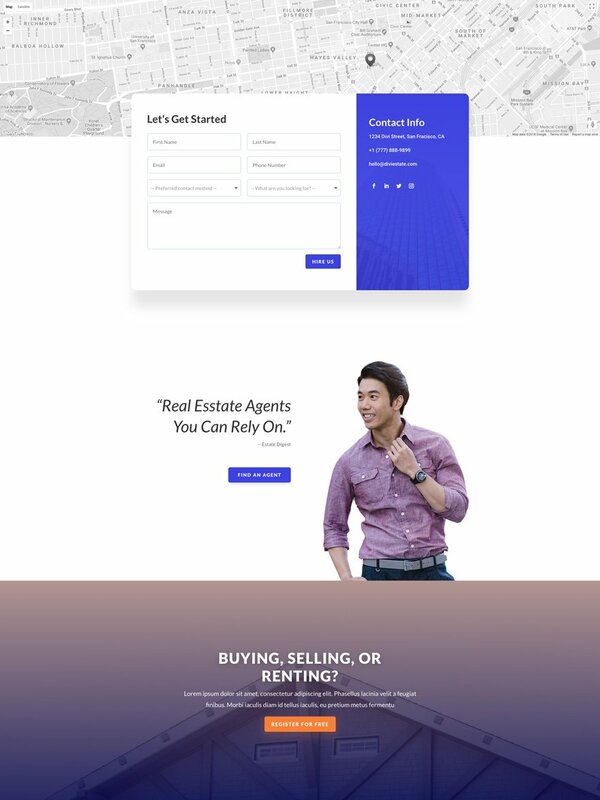 The Real Estate Layout pack would be an awesome fit for real estate companies and agents. The color scheme works with the light background to make images standout. 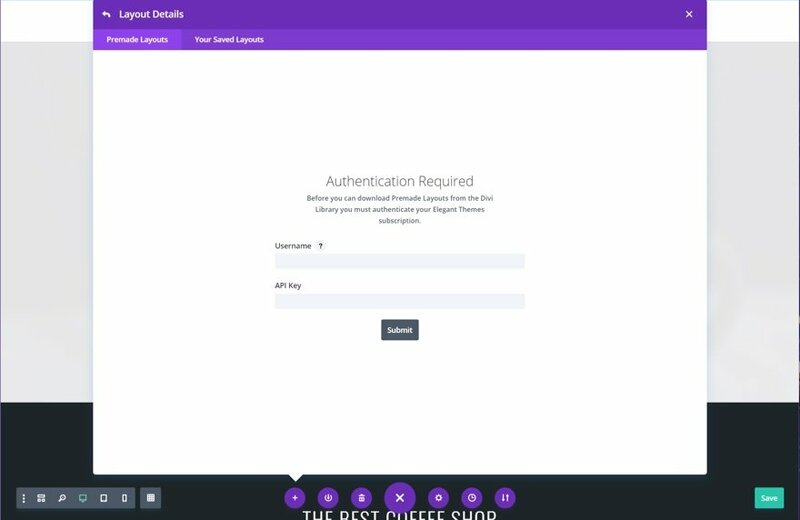 The header on the homepage has a unique desgin with dual CTAs which should help boost conversions. 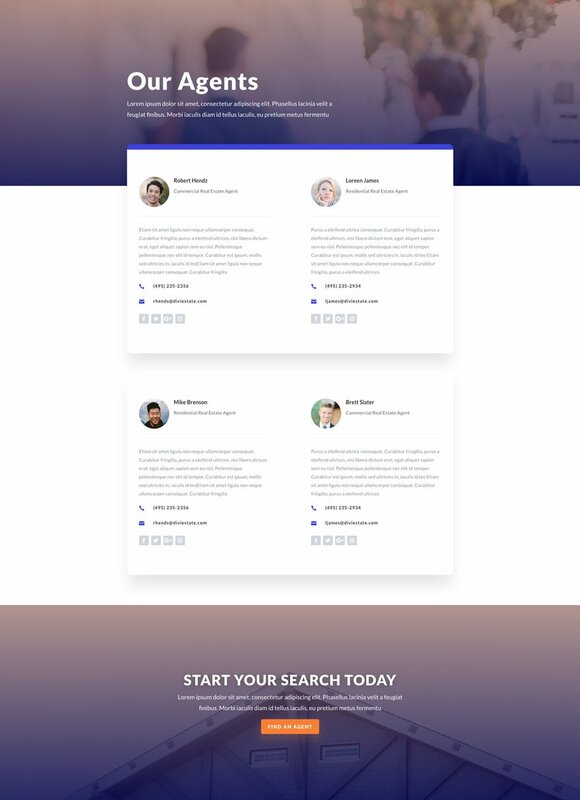 The Team page is also a nice addition since listing real estate agents is a must for any agency. Enjoy! To access your new layout, simply activate the Visual Builder when editing a page and look for the “Load From Library” icon in the page settings bar (it looks like a plus symbol). Click this icon to launch the Load From Library popup. Under the Premade Layouts tab, you can easily find the new layout by scrolling through the list of layout packs. 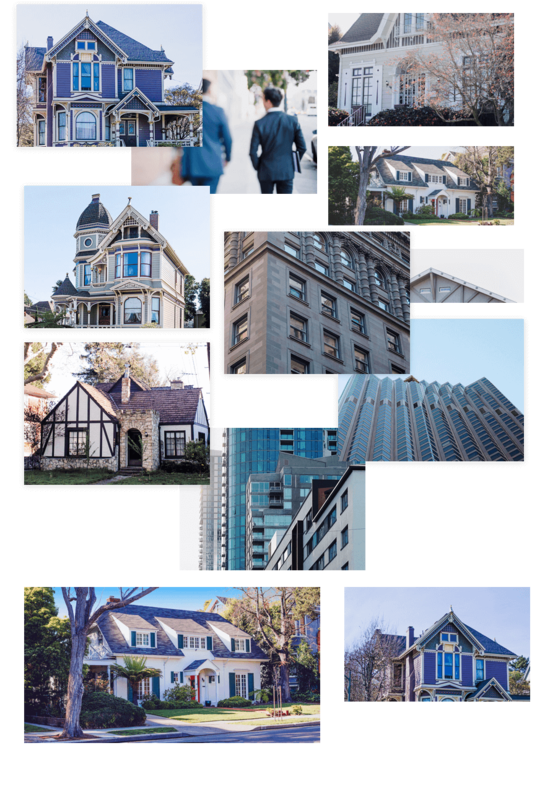 Once you find the Real Estate Layout Pack, click on it. You will see all the individual layouts included in the pack. Select the layout you want for to use and then click the “Use This Layout” button. We hope you enjoy this layout pack. 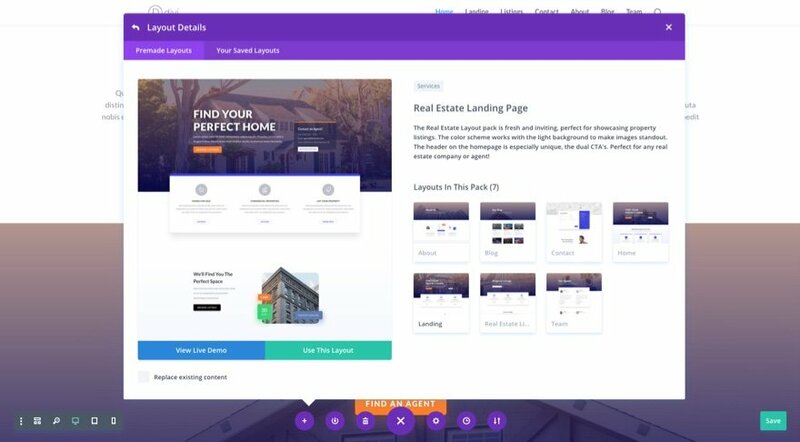 And to help ensure that you do, we’ll be doing a live stream on our Facebook page this Tuesday at 3pm EST to walk through how to create, manage, and showcase property listings on your site using this new Divi layout pack. 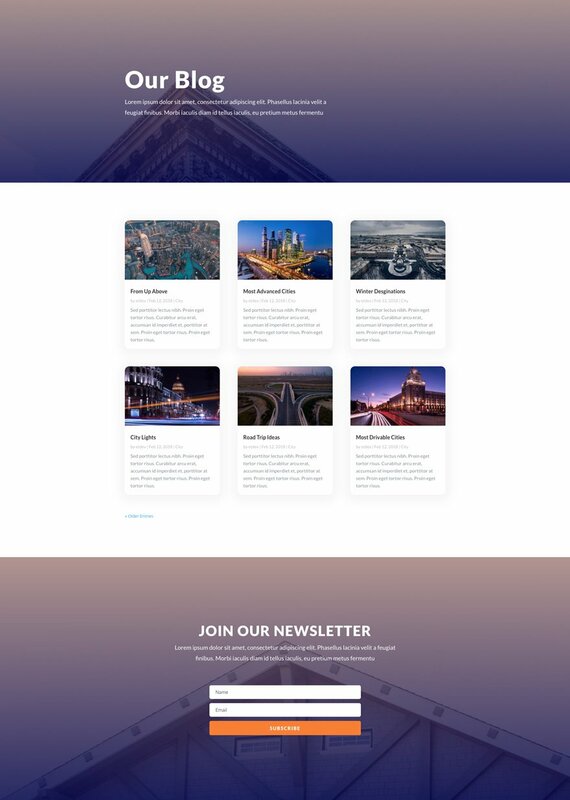 The post Get a FREE & Inviting Real Estate Layout Pack for Divi appeared first on Elegant Themes Blog.